"It feels like your own body has betrayed you, like I've been stabbed. I'm an athlete. I workout, I train. It can't be possible." "... I competed at the Olympics, I got fifth in the 400 and third in the 4 x 400. Was it crazy? Yes. 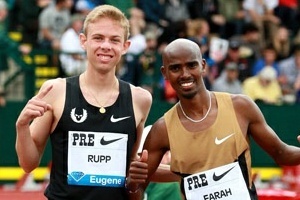 That's everybody's dream, to run at the Olympics. But I was thinking about my hurdles that I have to come back to fight. I was thinking: 'Am I going to survive this?' ... My teammates in the relay did not know. But I was standing on the podium and I didn't know if I would ever run another race." "... 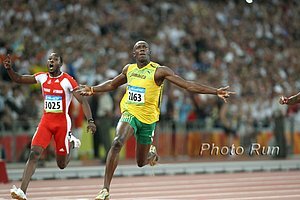 I'm still one of the top 400m runners in the world and I want to see what I can do. Moscow will be for all the breast cancer survivors out there. I want them to know it's still possible." - Jamaican 400m national champion Novlene Williams-Mills, who was diagnosed with breast cancer before the 2012 Games, but still went, competed, and placed 5th in the open 400 and won bronze on the 4 x 400 relay. She had her last surgery in January, started full training again until March, and still made the Jamaican Worlds team, winning the Trials in 50.01.
Who would you like to see make a comeback the most? 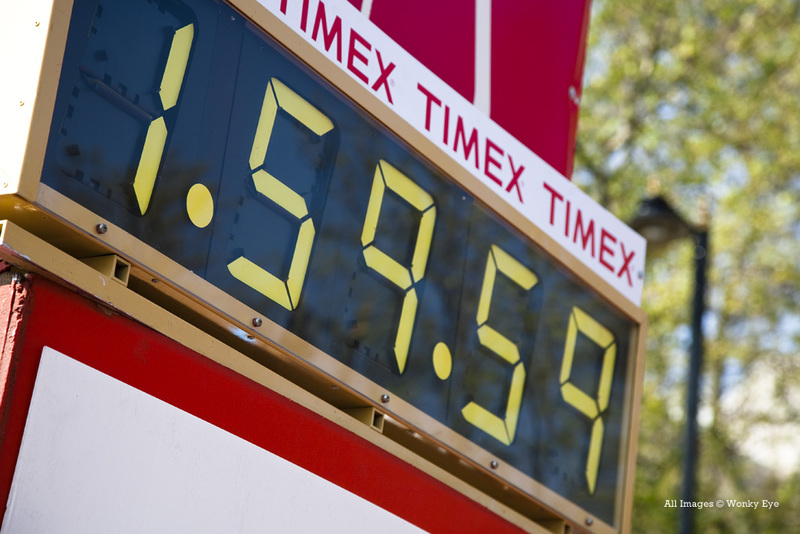 How many NCAA violations will be committed in the courting of Mary Cain? Who the heck is George Zimmerman witness Jane Surdyka? Witness who says she would have been Olympic marathoner? Duane Solomon Runs 1:13.28 600 In Canada, Putting Himself 2nd Fastest In The World All-Time Solomon's coach and US 800m record holder Johnny Gray has the record at 1:12.81. Cas Loxsom was 2nd here in 1:14.84. *Full Results Nate Brannen won the 1,500 in 3:37.17 over Craig Miller (3:37.28) with a lot of other US/NCAA guys in the field. 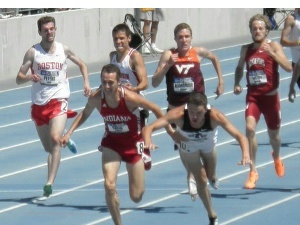 Joe Abbott won the 800 in 1:45.35 over Michael Rutt (1:45.90) and Charles Jock (1:46.56). Hilary Stellingwerff won the 1,500 in 4:07.51 over Sarah Bowman-Brown (4:09.25); Alexi Pappas 6th - (4:14.08). Canada's Melissa Bishop won the 800 in 2:00.67 over Laura Roesler (:01.29) and Maggie Vessey (2:01.59); Geena Gall was 10th (2:04.37), Anne Kesselring 11th (2:05.14). Wallace Spearmon took the 200 in 20.19. Yohan Blake's Team Will Give An Update On His Injury After He Meets With German Doctor Dr Hans-Wilhelm Muller-Wohlfahrt The announcement is expected today. RR: 400 Runner Novlene Williams-Mills Was Diagnosed With Brest Cancer A Couple Of Months Before London Games, But Still Went, Competed And Got 5th She had her last surgery in January, wasn't back in full training again until March, and still made the Jamaican Worlds team, winning the Trials in 50.01. Kenenisa Bekele Wins Belgium 10k In 27:46; Probably Won't Be Selected For Ethiopian Worlds Team (translated, link fixed) He said when the pacemaker dropped out at 5,000m, it was too difficult to set the pace on his own in the wind. He won the "unofficial" Ethiopian Trials at Pre Classic, but three other Ethiopians have run faster than him elsewhere this year - Dejen Gebremeskel (26:51.02), Abera Kuma (26:52.85) and Imane Merga (26:57.33). Chris O'Hare Leaves Birmingham Disappointed As He Fails To Get The "A" Or "B" Standard In The 1,500 O'Hare will have to either find another race to chase or wait and try to run fast at the UK World Trials on July 13 and 14. Dai Greene Blog Where Says He Has "No Margin For Error" As He Tries To Regain Form In Time To Defend His 400H World Title He had hernia surgery in March and hasn't been racing well outdoors as he was well beaten here. 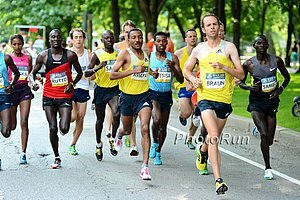 Belete Assefa Follows Up His 10,000m Win By Winning The 5,000 On The Last Day Of Ethiopian National Championships Yebrgual Melese won the women's 5k as 2011 New York Marathon champion Frehiwot Dado dropped out. Aman Kedi and Sofiya Shemsu won the men's and women's 1,500s. LJ Olympic Champ Greg Rutherford Parting Ways With American Arizona-Based Coach Dan Pfaff He's the third high profile British athlete to leave Pfaff this spring as PVer Holly Bleasdale and Paralympic sprinter Jonnie Peacock also did. Rutherford said, "Ultimately when you've got a coach who is based in America and isn't coming back to Europe particularly, it makes things very tough." Ironic: Nevada Marathon That Embraced Hot Conditions Cancelled Due To Extreme Heat The "Running with the Devil Marathon" was cancelled after 117-degree weather was predicted. LRC Birmingham Preview Mo Farah Will Have His Hands Full In A Fantastic Men's 5,000 We break down the mid-d and distance action like only we can. There is a scintillating men's 5,000 where Mo Farah will have to earn his $$$ this time as he faces the top two in the world in Hagos Gebrhiwet and Yenew Alamirew. Plus Abebe Aregawi (and Morgan Uceny) in the women's 1,500, Mo Aman in the 800, a men's 1,500 (with Lee Emanuel and Chris O'Hare), and a women's steeple and 800. Kenya's 2013 World XC Junior Silver Medalist Leonard Barsoton Runs 27:33.13 In 10k Debut At Hokuren Distance Challenge Fukagawa In Japan He narrowly beat out Jeremiah Karemin, who ran 27:33.38. 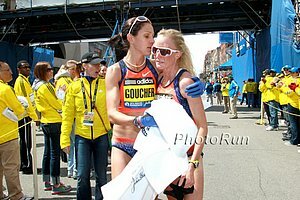 MileSplit Update Story On Anne Dutton, A Runner Who Had A Serious Accident When She Was Hit By A Taxi Cab Back In September And Was Unable To Walk After not walking for 3 months and being told she might never run again, Dutton has made a full recovery and recently finished a 5k race. US Trials Surprise 4th Placer Matt Elliot Matt Will Chase "A" Standard At KBC-Heusden On July 13th And Bottrop Gala On July 19th If Matt Centrowitz and Leo Manzano both get the "A" standard during the window before July 20th, then Elliot just needs the 3:37.00 "B." Otherwise he needs the "A" which is 3:35.00. Elliot doesn't have the "A" or "B," but has a chance to get make the team based on which standards the three who finished in front of him at the trials get or don't get.